Belmont University faculty, staff and students recently had the opportunity to hear from Rev. 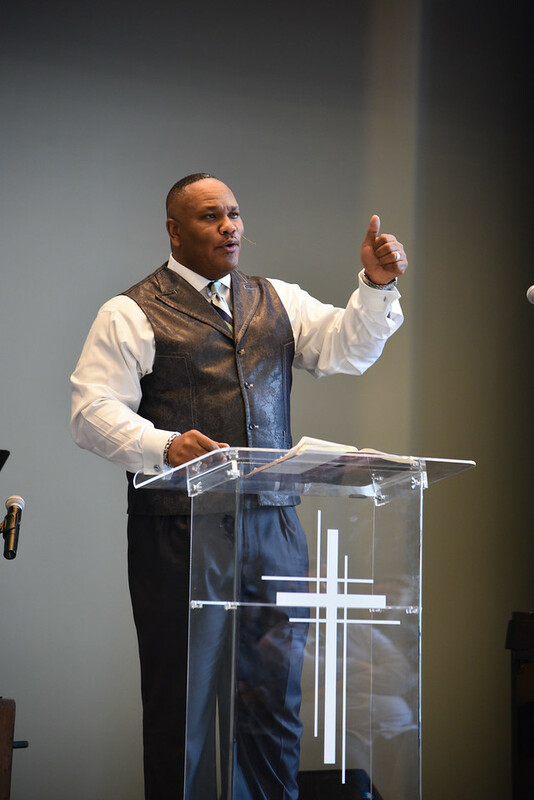 Dr. Chris Williamson, founder of Strong Tower Bible Church, as part of last week’s series of events celebrating the life of Dr. Martin Luther King, Jr. Williamson reflected on how Dr. King turned to God amidst the despair he often felt and the violence that surrounded him. Williamson began his discussion by referring to the story in 2 Kings 20, when Hezekiah, the 13th King of Judah, became deathly ill and turned to God for hope. Williamson made the point that even people who seem to have everything together need God during times of darkness, including Dr. King. Dr. King relied on his faith to give him the power to change the hearts and minds of many citizens, despite the fact that he was receiving an average of 40 death threats per day. He prayed for strength and bravery during his most difficult times. The discussion ended with a viewing of a clip from Dr. King’s “A Knock at Midnight” sermon and prayer through song.